We manufacture the best of uni-drive mixing mills. 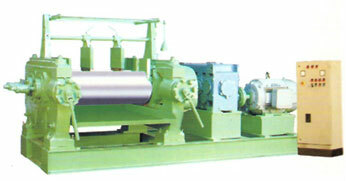 Our uni-drive mixing mill has universal nip roll adjustment and it drives through specially designed coupling. The mill is based on power saving mode. The machine is operator friendly with dust stop roller guides. It requires minimum maintenance. The stands and caps of our uni-drive mixing mill is steel casted.